The 2017/2018 School Project is addressed to secondary schools (students aged 11-19), with a program based on the causes, the consequences and the solutions of climate change including the context within it takes place. The topics addressed aim to remark the close connections between climate change and sustainable development, energy, economy, international relations, health, human rights. In this renovated edition, the theme of Energy is further deepened also thanks to the remarkable support by our partner, Behind Energy. THE CLIMATE ISSEUE – Global warming, the climate in history, the role of human activities, the current situation, future scenarios, the aggravating factors, the scientific community consensus. THE CONSEQUENCES – The temperature rise, ice melting, sea level rise, the increase of extreme atmospheric events, desertification, the impacts on health, the climatic migrations, the economic damages, biodiversity loss. THE SOLUTIONS – Tackling climate change at every level: brief overview on international negotiates, regional and European policies, national measures, municipalities’ commitments, citizens’ responsibility, the role of media. 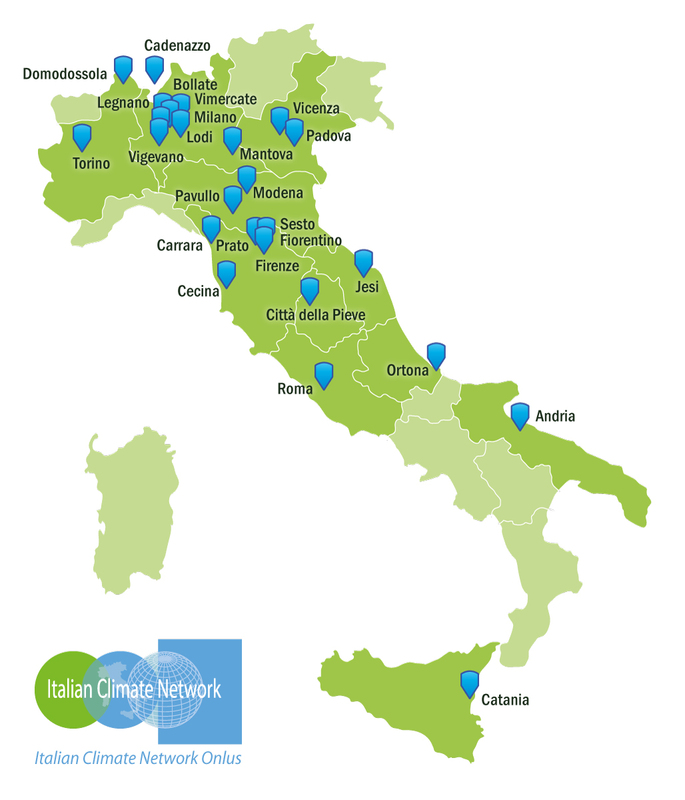 In the five-year cycle 2013-2017, our School Project reached over 40 schools in Italy, in 25 different cities located in 11 regions, for a total of some 3000 students involved. Do you want further information, or to request a lesson? Please send an email to: scuole@italiaclima.org, we will be in touch soon!